Weyers Cave is located in the center part of the beautiful Shenandoah Valley, on the I-81 corridor which was the old Indian trail up and down the Valley. A spur came off the trail over to present day Grottoes, where there were caves in the mountains. Although Bernard Weyer was credited with finding the caves, he found them in what was known as “Cave Hill”, so the presence of caves in the hill was previously known. Today, there are approximately 1000 houses in Weyers Cave. The town, which has no formal government of its own, is approximately fifteen minutes from Staunton VA, fifteen minutes from Harrisonburg VA, and about half an hour from Waynesboro VA. It is located within Augusta County and has its own Post Office. It is just inside the north border of Augusta County with Rockingham County. Unlike most small towns, Weyers Cave has a lot to offer! 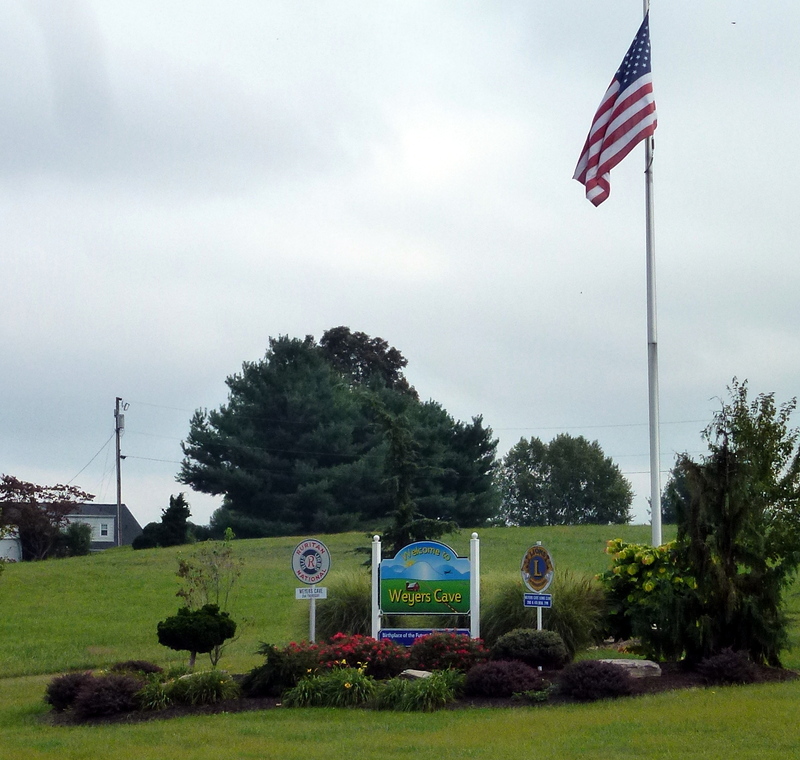 In addition to the Post Office and Volunteer Fire Department, there is Shenandoah Valley Regional Airport and Blue Ridge Community College. Add to that United Bank, Carter Bank, Super Save Grocery Store, Carilion Health Clinic, Augusta Emergency Health Clinic, Shreckhise Shrubbery, Shreckhise Landscaping, Valley Pike Farm Market, Maple Lane Veterinary Clinic, Tim Wade Dentist, Rocky’s, Christopher William Jewelers, Houff Transfer, IDM Trucking, Houff Feed and Fertilizer, Pepsi, Blossman Propane, Packaging Services, Dynamic Aviation, Equipping the Saints, Cerro Metals, Degesch, three gas stations, and several other large industries — you have a well-rounded community. More about the businesses located in Weyers Cave as well a their contact information are given on the Business Page of this website. One of the main industries, though, is farming. There are many dairy and beef cattle farms, as well as chicken and turkey farms in the area. You will be more likely to see a cow in the road than a true traffic jam in Weyers Cave! The purpose of this page is to have a go-to place for local residents to get information quickly about the happenings, and those further away to see what is available! It is truly a wonderful place to live as well as to visit. The latest and greatest addition to the Weyers Cave Cuisine Scene is the Valley Pike Farm Market on Route 11 just north of Weyers Cave Road about 1/4 mile. Oh, my! Two food trucks (one barbecue, one hamburgers) are just the start. They have a Boars Head Deli, coffee shop, ice cream shop, chocolate shop, and complete bar, as well as canned jams and other foods, and a fridge full of ready-to-grab-and-run foods. Along the back of the huge barn is a l-o-n-g porch with tables and a view of the mountains. Gorgeous! Super Save has a wonderful lunch/dinner take-out counter. The Sheetz on Route 11 has been great to have locally. But the two places you might not think of are the airport, where you can enjoy watching the planes come in and out, or Karis in Mt. Sidney for a nice truly homemade meal on Thursday, Friday, and Saturday for $5.50. Karis also has some wonderful desserts and herb teas. It’s a nice cafe to meet for a ladies’ day out! Then, of course, the ladies peruse all the donated items for sale! Yes, there IS a bus that comes to Weyers Cave. In fact, there are two. One goes north to JMU and swings by Dayton and Bridgewater and then back to the stop at Blue Ridge Community College. The other goes south to Staunton and you can transfer on it to get to Waynesboro. It is that it is only fifty cents, and free if you are student or faculty. The bus drivers are super and let you out anywhere along the route, and will even pick you up at a different place along the route if you call ahead. Buses leave every hour on the hour starting at 7 am and the last bus leaves BRCC at 8 pm Monday through Thursday. If there is someone at Blue Ridge that needs the bus at 9 pm, it will make another run! (The busdriver eats from 7 to 8 pm, so no bus service then.) Friday buses leave BRCC from 7 am to 5 pm and no bus service on Saturday or Sunday. PLEASE CALL CATS Mountain Bus Service at 800-305-0077 to check out these times and service before you ride. Is There a Cave in Weyers Cave? These were grand and glorious caverns, with an organ and ballroom, and the closest train stop for visitors to the caverns was seven miles away — in what is now Weyers Cave. The conductor would call out “Weyers Cave” at the small train stop and that is how it got its name. I’d LOVE to be proven wrong. Does anyone around know of any Caves in Weyers Cave??? I am Debbie, a “real person” who lives in Weyers Cave. My nickname is the “Computer Bee.” I am the Webmistress of WeyersCave.net. I am doing this to bring the community together and keep people informed of what is happening in Weyers Cave. I find that many people from outside the area refer to this page when traveling in this direction. Welcome! I personally recommend the people and businesses on this site. If you have problems with a business that can’t be resolved, let me know. If I can’t resolve it either, I will remove them from the Hive and notify the other Worker Bees. I will not have someone here I don’t have confidence in. If you are a local organization such as a church, business, school, or civic club, give me your information and I will link to you. 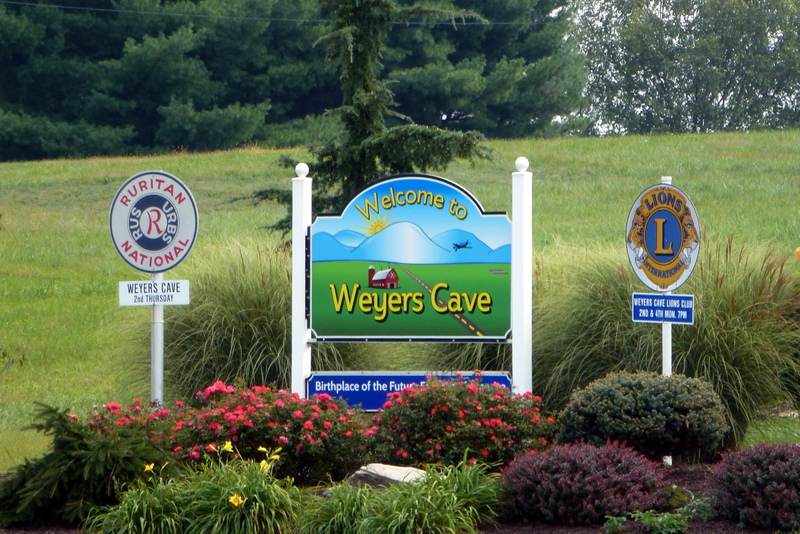 If you live or work near Weyers Cave, and don’t have competition in Weyers Cave, I will list you as well. Thanks for making this the best community website in Weyers Cave!